I have been writing a lot lately about doing up our garden as part of our Garden Project. One of the main reasons we have been doing this up is because we frankly don’t have enough room in our current home!! I was hoping that by giving our garden some love, it would give us access to an extra ‘space’ over the summer months at least, so we don’t feel as on top of each other. We bought this house six years ago and at the time we were a young couple with one dog and it was our first time owning a home together. As time has passed our family has grown and we now have an extra person and a dog inhabiting our house! Not only that my career has changed path and now I need an office space which just takes up a whole other room!! Our house was described as having three bedrooms. It does not. At best it has two and a half. Poor Henry is squeezed in the box room and has hardly any room to play. His room is filled with furniture with a tiny rectangle of floorspace to maneuver around. He wants a cabin bed with ladders to climb and adventure but sadly that isn’t possible in the space he has. I have considered moving him out of the box room and into the spare room which is now used as an office space. This room is a far nicer size and would mean he would have ample room to play! He could even fit in his dream bed. So why don’t I do that you ask? It’s not that I’m a cruel Mum and I just want him to suffer, I promise!! It’s just that what else can I use that tiny room for? My office desk would just about fit or the sofa bed but certainly not both. I tried moving my office space downstairs. I took over the kitchen table but that only made the place look like a bombsite, meant I lost important documents and no one had anywhere to sit down at dinner time!! A Garden Office – A Solution? So what is the solution? We move house? Yeah right! Since we purchased this house six years ago the property price has crashed so severely that we now owe more than when we started! Saving for a deposit is hard work and every time we start to make headway we end up needing to dip into the funds for some ’emergency,’ like the boiler packing up or the washing machine leaking! As I have been undergoing my garden project I have come across a solution that I think would be ideal! 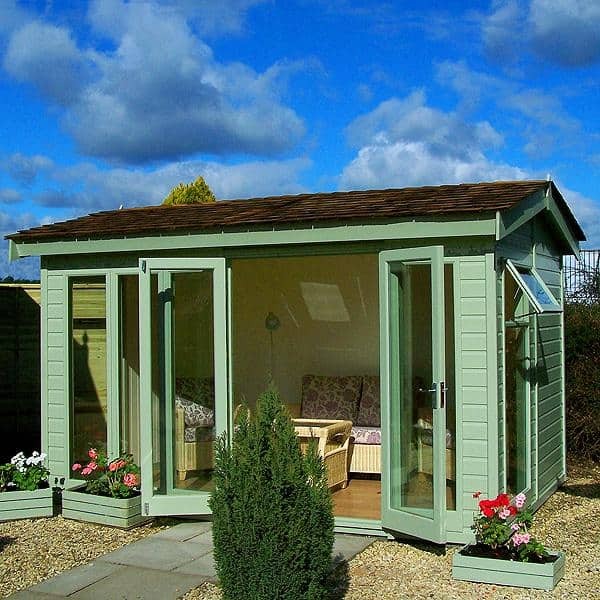 Why not install a garden office? 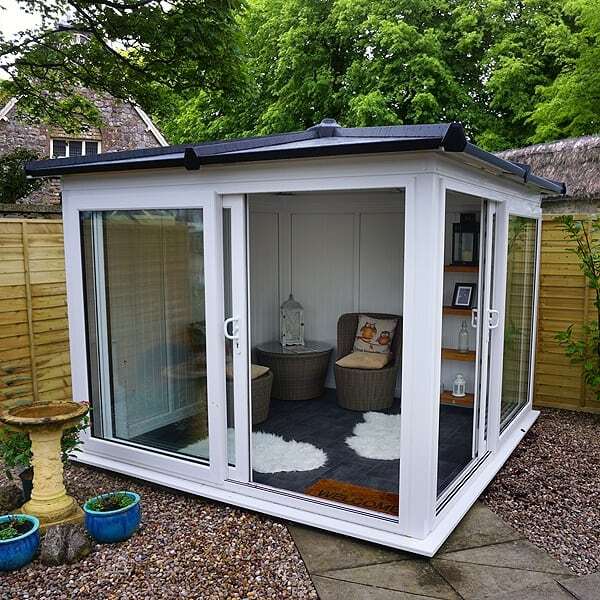 I have been lusting after some of the wonderful garden offices in the GBC Group’s Garden Offices range and feel like they would really be an ideal solution! They do a whole range in different sizes that cover different budgets so I wouldn’t have to break the bank or take up my whole garden space either!! Yes this isn’t a ‘free’ solution but the cost of a garden office is far less than we would need in a deposit to move. This solution would mean that Henry could move into the bigger bedroom, the tiny box room could house the sofa bed for the odd time we have guests and I could have a gorgeous office space at the bottom of the garden!! Seems like a win win to me! Better get convincing the hubby!! 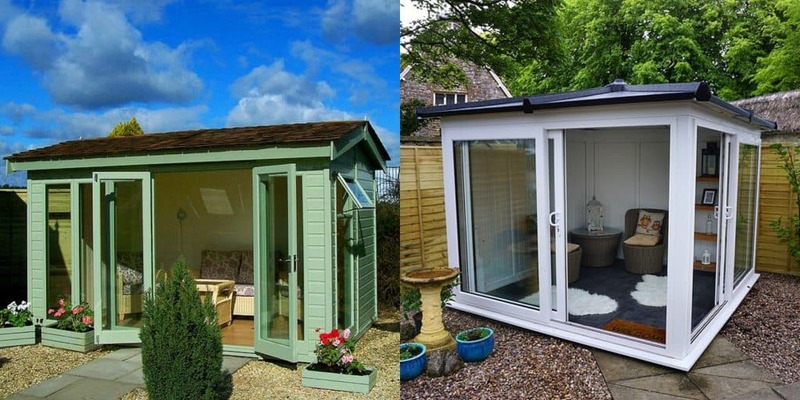 Would you consider a garden office? Let me know in the comments below. *This is a sponsored post, but all views and opinions are my own and honestly my house really is tiny – poor Henry! For more information about sponsored posts please see this page.